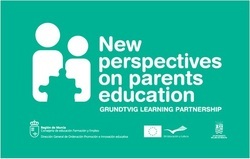 The main topic has been new perspectives on parents education and training: the project has the final goal to involve parents in the educational area, as an opportunity to exchange experiences and information between institutions to develop new methods and approaches from an organizational and educational point of view. Dedicated to all parents that come in our institution with their sons and daughters. A place where it is possible to read, thanks to a library about parenthood. A place to rest a while, where children can play, read, have homework in a little space called Children Corner. A place in which parents can think, reflect and get information thanks to some Specific Guides for Parents written by our staff. A place where exchange experiences with other parents. A cup of tea together to have a conversation about parenthood with the psycho-pedagogical staff of L’Arcobaleno Servizi.